It is the Easter holidays soon, and I am sure I am not the only one with a child who given half a chance would spend most of it playing video games. I insist on plenty of screen free time, but that doesn’t mean we can’t indulge his love of gaming away from the console! He spends hours designing and drawing his own games and characters. Give him some pens and paper and he can occupy himself for half the day coming up with plot lines, good guys, bad guys, and locations. We also head outdoors. He has a Link from the Legend of Zelda games costume, and we head to our nearby woods where he can race about and battle monsters until he is quite exhausted! Robin Hood from our fancy dress shop. Also always worth keeping your eye out for special events. One of the most popular games franchises for kids this past year has been the Skylanders series and this Easter several Toys R Us branches across the country, including one not too far from us, are holding Skylanders events. Have a look here to see if there is one near you. At our local event, held at the Southampton Toys R Us between 11 and 4 on Monday the first of April, you can meet Gill Grunt, who to the uninitiated is this handsome chap….. There will be all sorts of themed activities throughout the day, and there is also a printable colouring sheet available to download, which will not only keep everyone occupied in the run up to the event, but they can also claim a free goody bag if they take their finished picture with them, a perfect Easter Day out for Skylanders fans! Playing video games like Skylanders actually involves your children developing logic and strategy skills, which is also brilliant for games like chess. I tempted my son into playing by buying him a Mario chess set, and he really enjoys it. Actually he can beat me now, without me even letting him. We have also made games themed felt plushes. 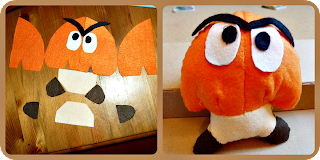 We have made a felt Mario Goomba and a Boo, and have holiday plans to make a Bob-bomb! Simple sewing projects like these are a great way to get kids involved in crafts. Of course when we are done inventing our own games, sewing our own characters, romping through forests sword aloft, colouring in, meeting real Skylanders and being humiliated at chess, if we have any energy left we might even fit in a play on a game or two! I am a member of the Netmums Blogging Network, a unique community of parent bloggers from around the UK who have been handpicked by the Netmums team to review products and brands on their behalf. I have been paid expenses and supplied with event information, but retain editorial control. Ha! I have a 5 year old girl so this is like a whole new language to me! But I agree, there are lots of great spin-off activities you can find from computer games if you use a little imagination. Ooh, I will go and have a look at the info, perhaps I will take the boy up! What a great idea! 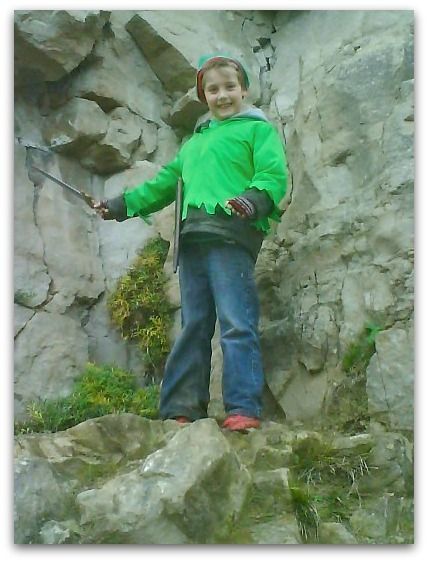 My 8 year old son is obsessed with Skylanders but also Minecraft at the moment – always looking for creative ways to get him off the screens! A marvellous approach. I was amused when Angry Birds was brought out as a board game and played by my kids with as much gusto as the screen one. It’s a relief to know that the cyberworld hasn’t totally eclipsed real life. I have a 7 year old girl, so computer games are not really her thing …. although she has recently found Moshi Monsters on the PC!! Help me!! 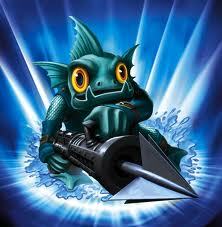 I’ve pencilled in the Skylanders Event at our local shopping Centre too – sounds great!